The Mosteiro I is a charming apartment at a perfectly central and quiet old town location. You'll reach the tram No. 28 within one min. on foot. Lisbon's beautiful sights are located within walking distance. In front of the building there is a small square. It is a pleasure to sit there or at the apartment's private terrace to enjoy and to relax. Read the story about this great location. At Mosteiro II apartment awaits you a cosy and stylish home at one of Lisbon's sweetest old town locations. You'll love this peaceful and scenic neighbourhood. Due to this unique spot you'll have a fantastic time in Lisbon. The Metro station Santa Apolonia as well as the bus and tram station No. 12 + 24 are situated in the neighbourhood. Mosteiro III apartment is located in our Mosteiro old town house on a 2nd floor. 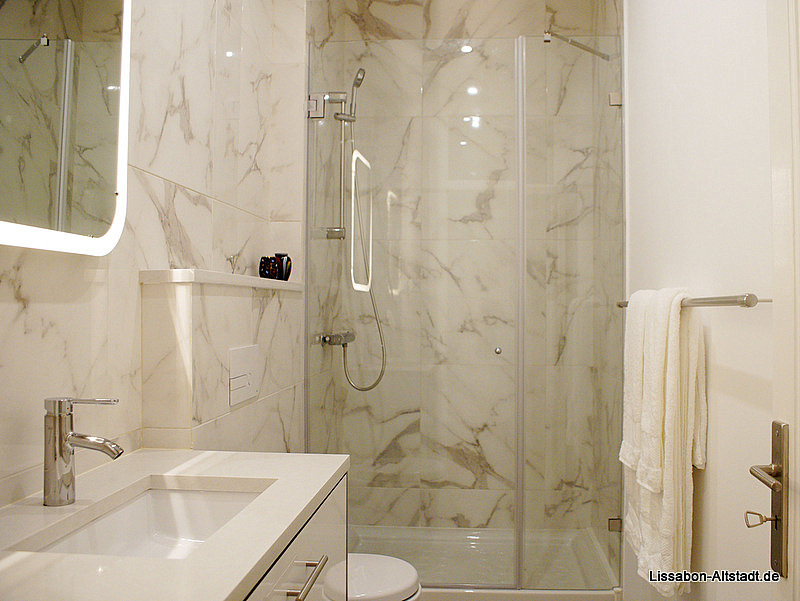 This peaceful and central location guarantees you a nice stay in beautiful Lisbon. You'll love this exceptional location. Metro station Santa Apolonia and tram (12+28) and bus stop are in the neighbourhood and easily reachable on foot. Mosteiro IV apartment awaits you with a nice view. In front of the apartment there is the majestic monastery Sao Vicente surrounded by the huge Tagus estuary. Some steps above this unique location you will find the popular Graca quarter with all kind of shops, delicious restaurants and the typical tiny cafes. From the Mosteiro V apartment you can enjoy an overwhelming panoramic view. In front of the building you can see the majestic monastery Sao Vicente surrounded by the huge Tagus estuary. Some steps above this unique apartment location the popular Graca quarter offers you all kinds of shops, delicious restaurants and the typical tiny cafes. Mosteiro VI apartment is quitely located on the top floor in our Mosteiro old town house. The amazing location offers you an overwhelming view of Lisbons old town and the Tagus estuary up to the Christo Rei monument. In the charming neighbourhood you will find a bus and a tram stop and the metro station Santa Apolonia. The cosy Mosteiro VII apartment is your perfect home in Lisbon. It offers you stylish and comfortable housing quality in the heart of the old town Sao Vicente/Alfama. Many sights are reachable on foot from the apartment. You will love this charming neighbourhood. This luxury Helena Casa town house is your fantastic home in a perfect Graca old town location. You can enjoy breathtaking views of the beautiful Tejo estuary from various terraces. Santa Apolonia train and metro station is easy reachable within 10 minutes walking distance. 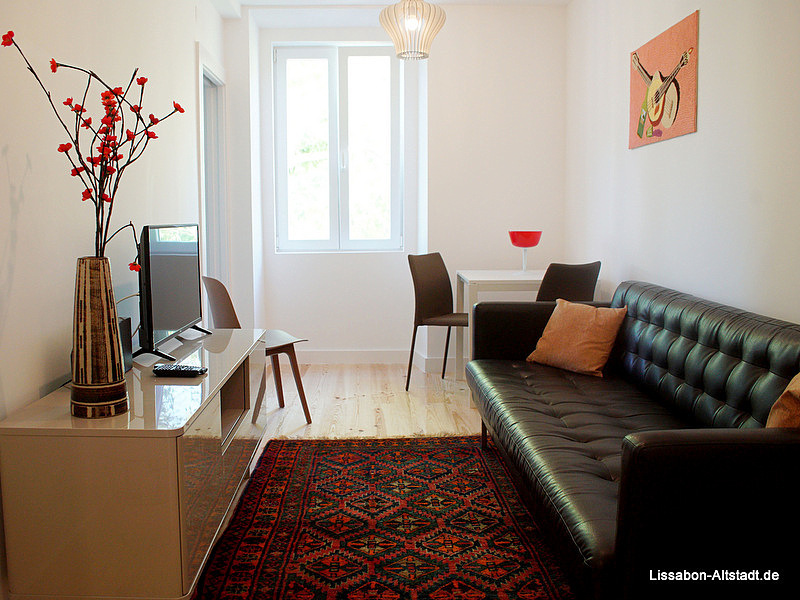 We can recommend you our spacious Santa Engracia apartment for a great stay at fantastic Lisbon. The apartment is located quietly and you can enjoy a fantastic view from the panorama windows. The important train and metro station Santa Apolonia is easily reachable within a few minutes on foot. The tastefully decorated Capitao apartment is located in the genuine old town quarter Santa Engracia. You will find everything you'll need in the small shops and cafés in the neighbourhood. Relax and enjoy the charming atmosphere with a glass of wine and the stunning views to the Tagus estuary from the balcony of the apartment.